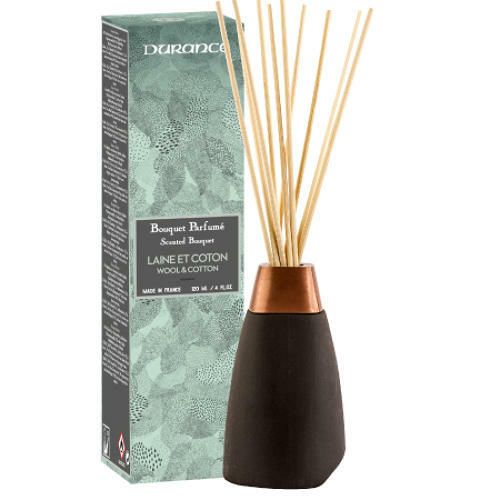 WOOL AND COTTON DIFFUSER - Cover yourself in a wool blanket delicately fragranced with damascena rose and comforting orange blossom, with notes of cotton and musk. Our Empreinte collection is the result of the alliance between Revol a black ceramic producer from Provence and Durance for a refined and a beautiful line of perfume diffuser. The fragrances have been developed with our fragrance masters from Grasse for unique perfumes to make your home feel like Provence.